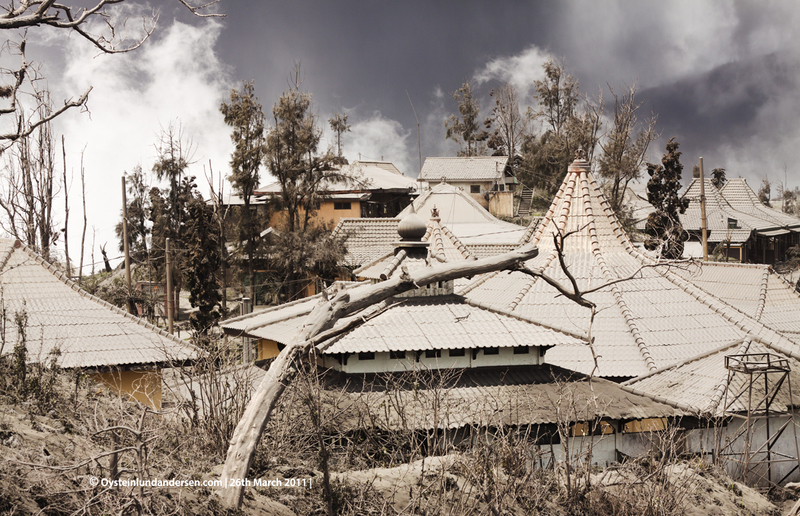 I arrived after dawn, and after a few minutes I captured the first photo in this serie, seen underneath. 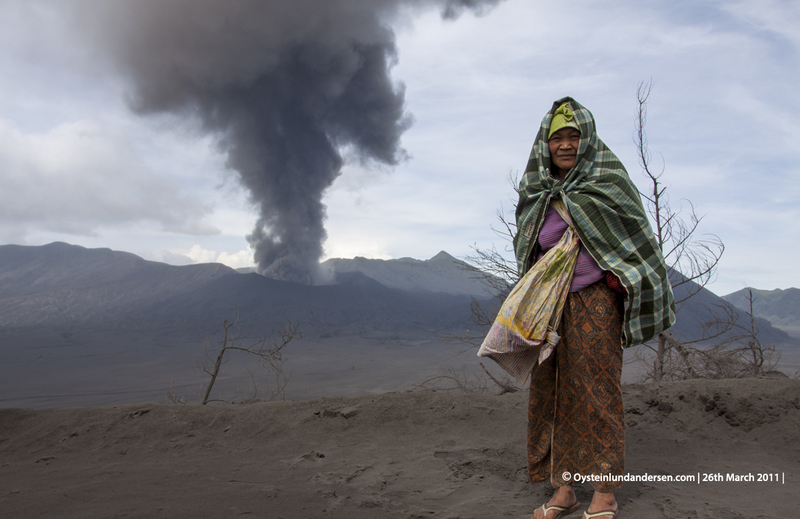 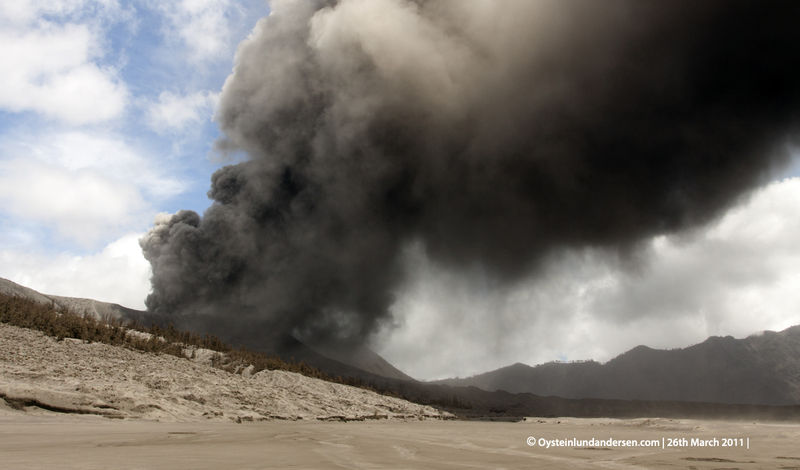 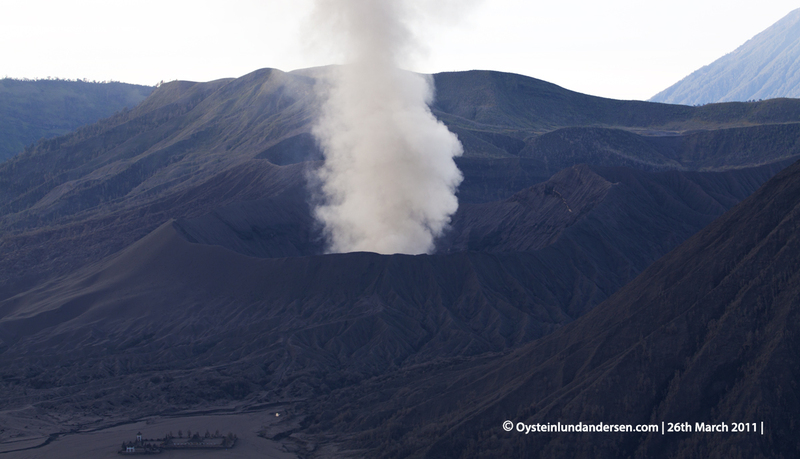 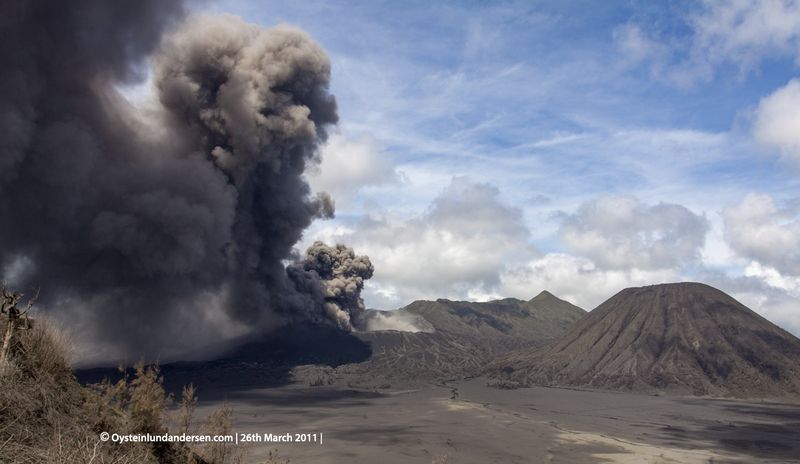 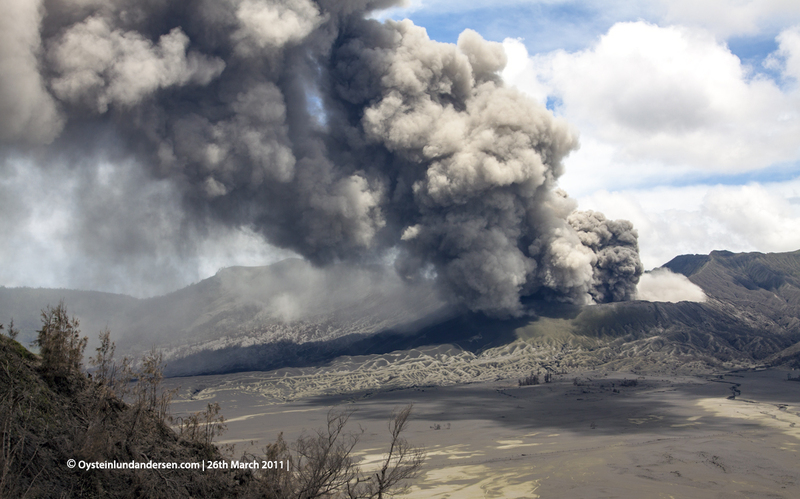 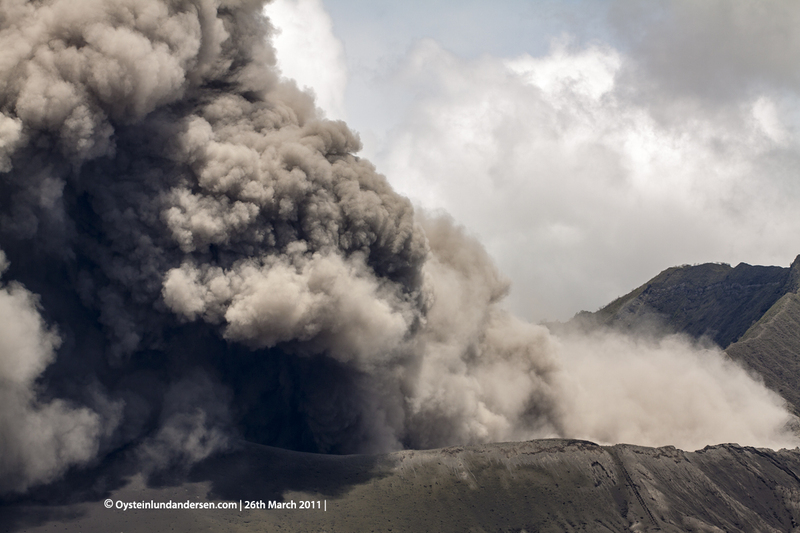 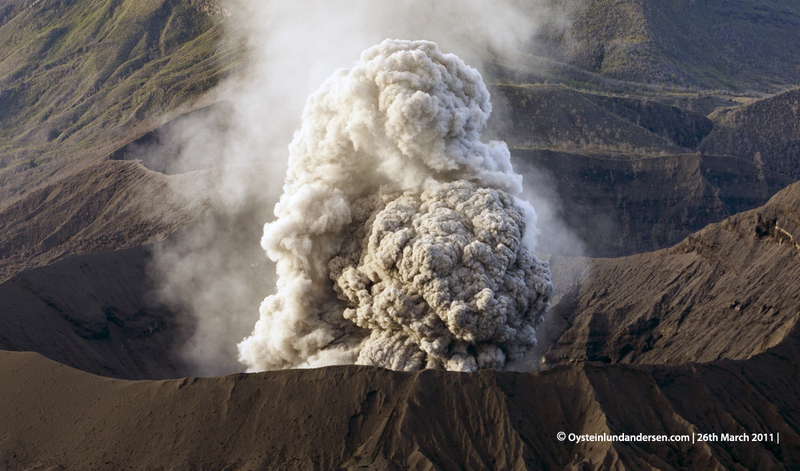 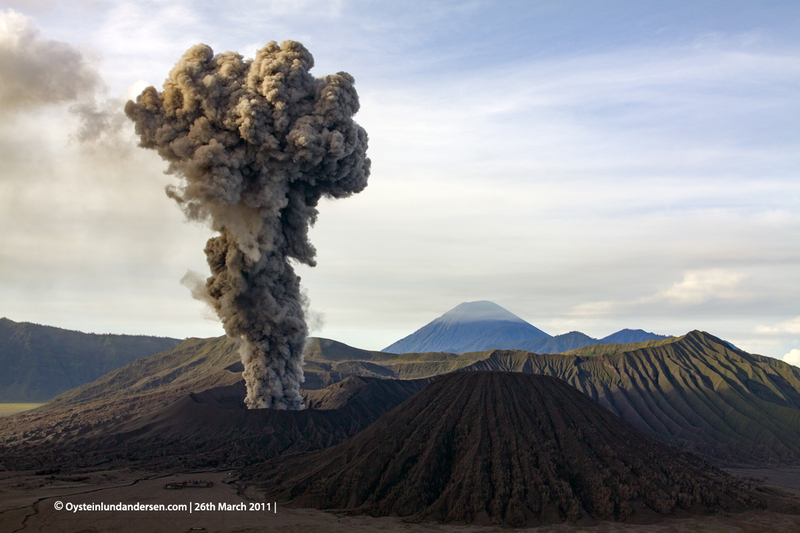 A strompolian eruptions where Bromo threw lava bombs up to approximately 100m from the volcano. 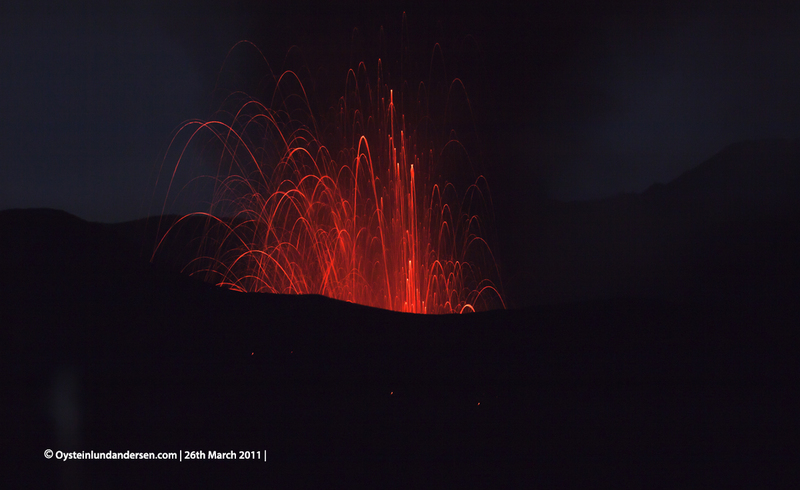 Most of the activity during the night showed that most of the lava bombs where not thrown out of the crater, although there were a few. 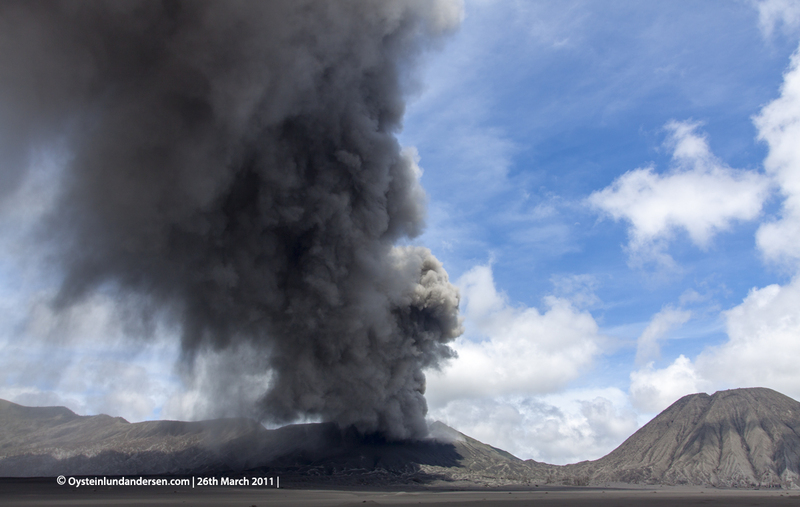 This made me to conclude that It would be relatively safe to move as close as 500m from the crater, as needed for the photo shoot the morning after. 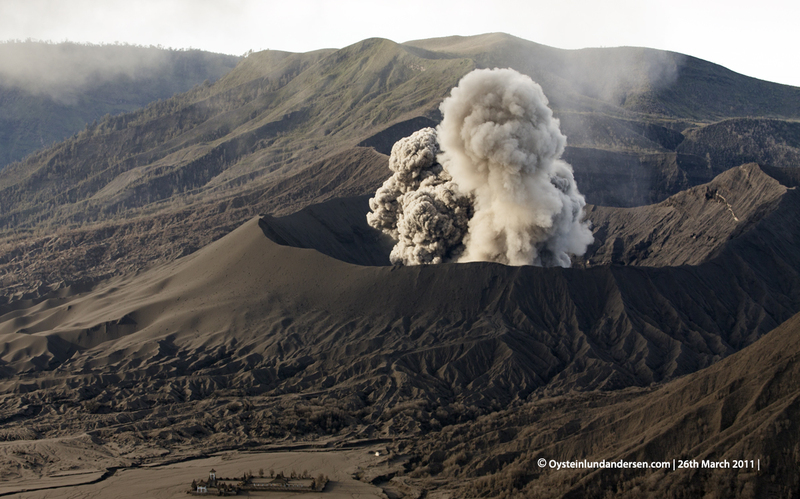 The sound from Bromo was at this visit the most violent I have experienced it during its eruption in 2010/11, naturally during the strombolian eruptions. 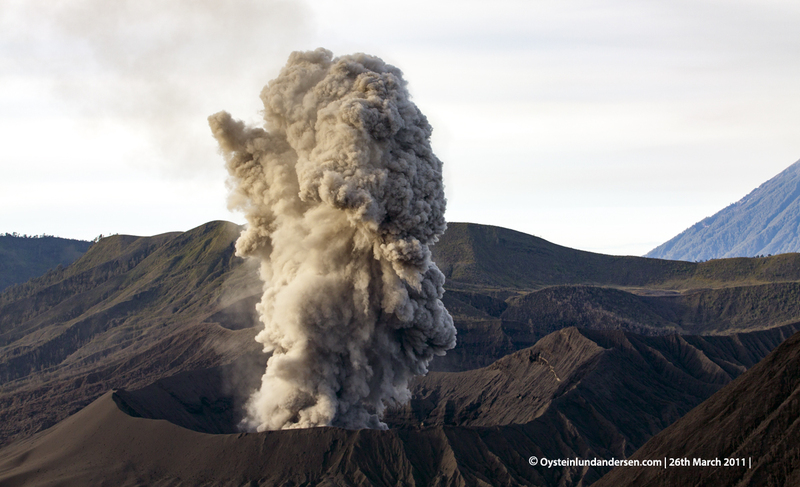 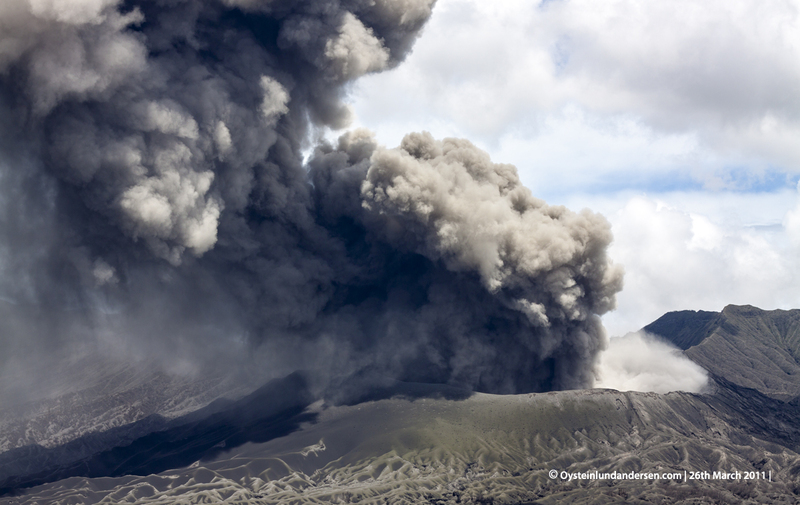 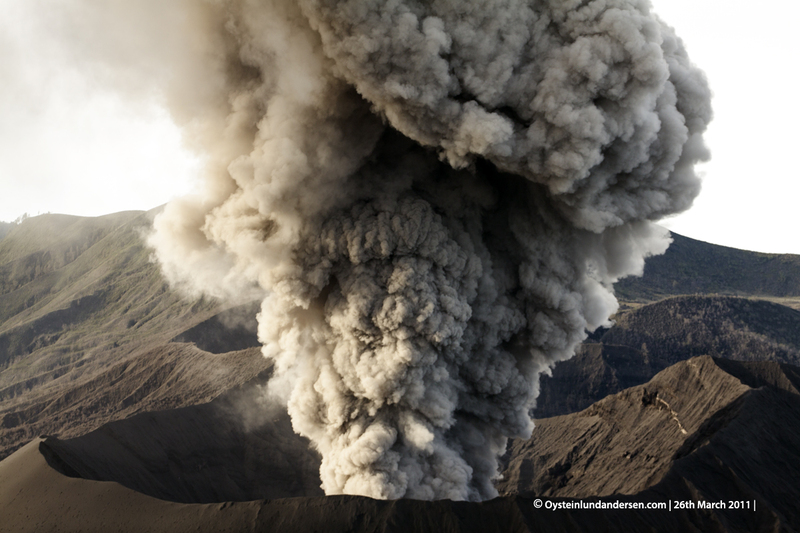 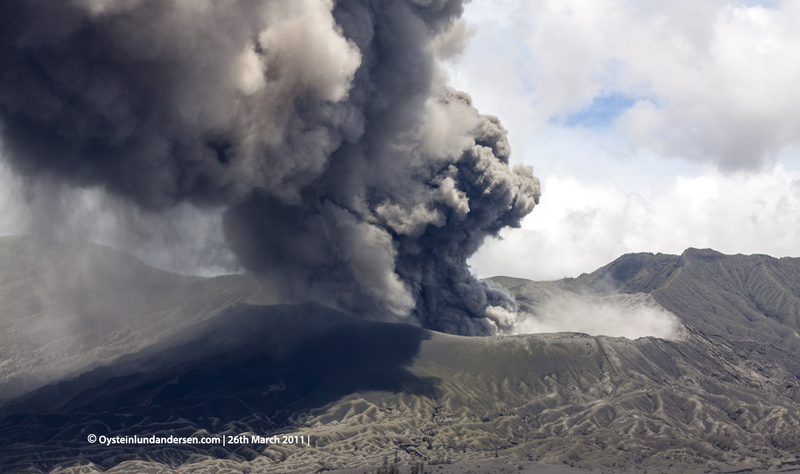 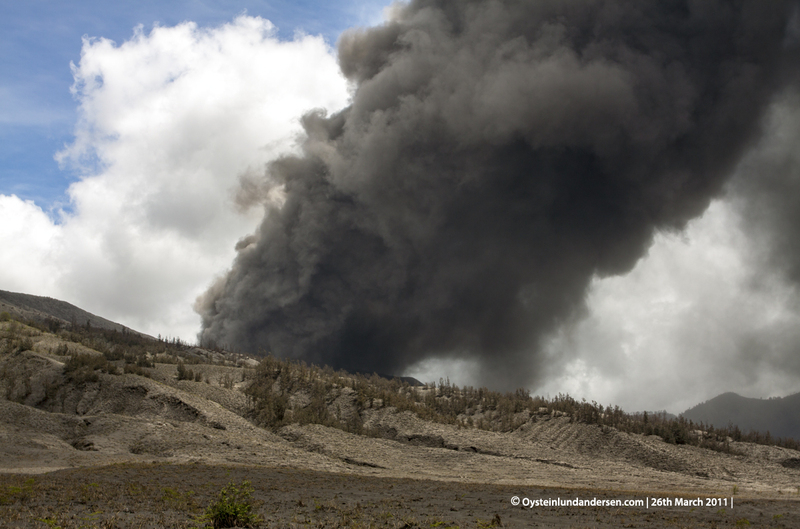 These eruptions occurred in a interval from 1 to each 1 or 2 hours, and lasted for 10-20 sec. 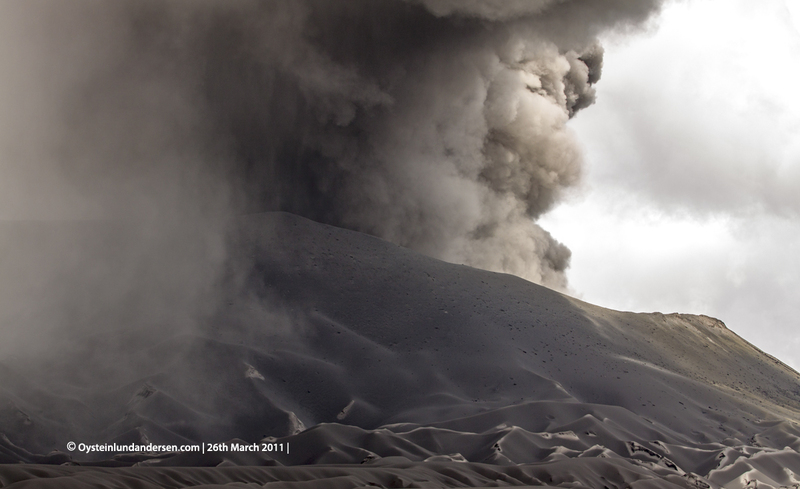 Intervals between eruptions: 1-2 hours between the large eruptions. 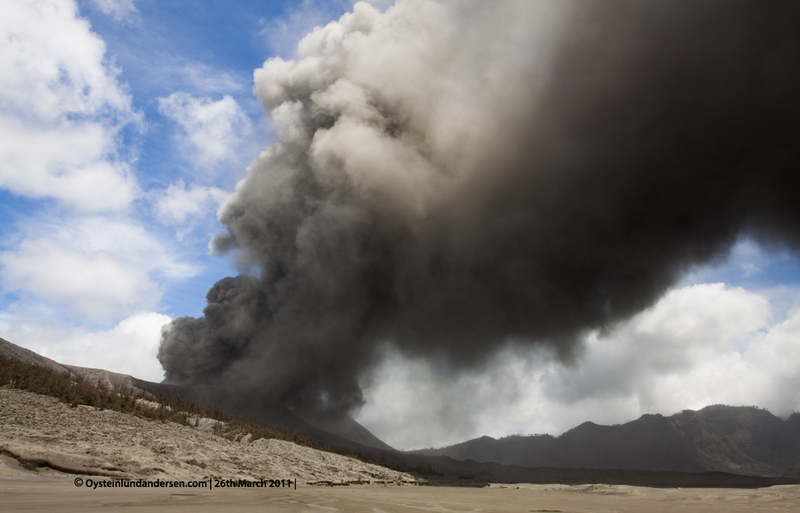 Some periodes of long (up to 30min) low activity eruptions that had sustained ash plumes. 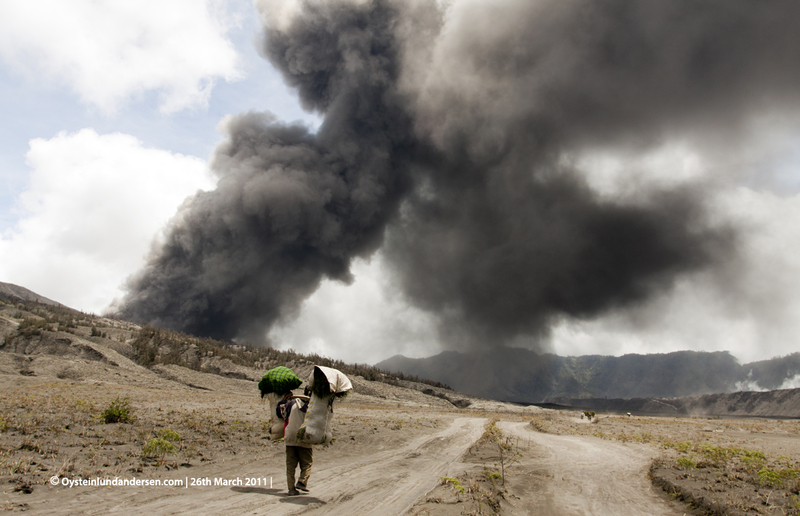 Tenggerese man carrying grass collected for his horses, and has to cross under the eruption plume on his way to his village.